Sorghum bicolor is a cereal crop and emerging cellulosic biofuel feedstock and serves as a model system for other bioenergy and food crops. Currently, sorghum is the focus of the ARPA-E TERRA program, which is currently developing and operating cutting-edge remote sensing platforms, complex data analytics tools, and conducting high-throughput plant phenotyping in both controlled greenhouses and field sites. Genomic re-sequencing of the sorghum bioenergy association panel (BAP), a diverse panel of ~400 sorghum lines, was performed in order to accelerate trait discovery and breeding. The sorghum BAP encompasses all five major races, all 16 intermediate races, as well as vast geographic ranges and climates. Through the sorghum BAP, we are exploring the scope of natural variation in the sorghum pan-genome for copy number variation (CNV), structural variation (SV), and presence/absence variation (PAV). De novo assembly of the sorghum pan-genome expands the sorghum gene space by >15%. Our analysis indicates that the core genome of sorghum comprises ~35,000 genes with ~15,000 additional genes comprising the variable or accessory genome not present in all accessions of a sorghum. Pan genomic information is being leveraged to inform genotype-phenotype association studies using robust sensor-based phenotypic data collected in the ARPA-E TERRA program. Population substructure analysis reveals 5-6 unique subpopulations within sorghum containing potentially adaptive gene sets that may be useful for allele mining approaches. The combination of precision field and greenhouse phenotyping on this diverse collection will allow for accelerated identification of genomic elements controlling agronomically important phenotypes including yield, growth rate, biomass accumulation, water-use efficiency, drought and disease resistance. Using pan-genomic information will maximize the available genetic resources to map key traits and accelerate breeding approaches to enhance this globally important crop. Todd Mockler is the Geraldine and Robert Virgil Distinguished Investigator at the Donald Danforth Plant Science Center. He earned his Ph.D. in Molecular Biology at the University of California – Los Angeles and his B.A. in Molecular Biology from Wesleyan University in Connecticut. He did postdoctoral research at the Salk Institute for Biological Studies in La Jolla, California. Prior to joining the Danforth Center, he was an Associate Professor at Oregon State University in Corvallis, Oregon. His research areas include plant genome sequencing and analysis, gene regulatory networks, circadian clock systems, abiotic stress responses, and high-throughput plant phenotyping. His published work has provided bioinformatic tools and approaches for using large-scale biological datasets to understand plant systems. Todd has been a principal investigator for several international plant genome sequencing consortia, including the Brachypodium distachyon, Oropetium thomaeum, strawberry, and black raspberry genomes. Currently Mockler leads the TERRA-REF and Sorghum Genomics Toolbox (SGT) projects, which are focused on coupling high resolution phenotyping with genomic analysis to accelerate the rate of genetic improvement in bioenergy and grain sorghum, respectively. Bio: Todd Mockler is the Geraldine and Robert Virgil Distinguished Investigator at the Donald Danforth Plant Science Center. He earned his Ph.D. in Molecular Biology at the University of California – Los Angeles and his B.A. in Molecular Biology from Wesleyan University in Connecticut. He did postdoctoral research at the Salk Institute for Biological Studies in La Jolla, California. Prior to joining the Danforth Center, he was an Associate Professor at Oregon State University in Corvallis, Oregon. His research areas include plant genome sequencing and analysis, gene regulatory networks, circadian clock systems, abiotic stress responses, and high-throughput plant phenotyping. His published work has provided bioinformatic tools and approaches for using large-scale biological datasets to understand plant systems. 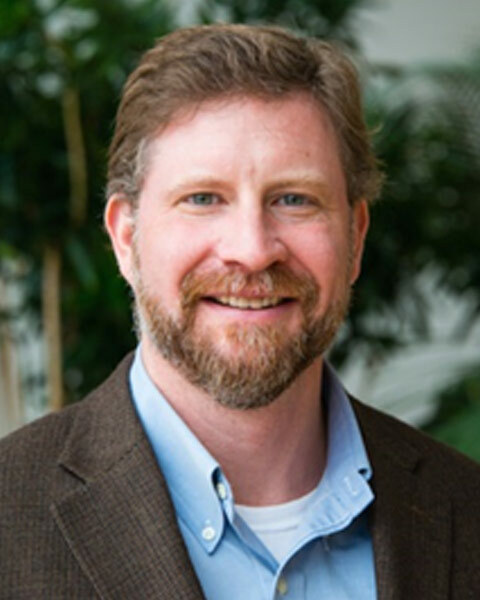 Todd has been a principal investigator for several international plant genome sequencing consortia, including the Brachypodium distachyon, Oropetium thomaeum, strawberry, and black raspberry genomes. Currently Mockler leads the TERRA-REF and Sorghum Genomics Toolbox (SGT) projects, which are focused on coupling high resolution phenotyping with genomic analysis to accelerate the rate of genetic improvement in bioenergy and grain sorghum, respectively.